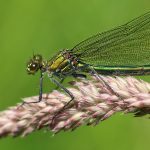 A talk on “Wildlife of the River Wey” by Glen Skelton, Thursday 27th April 2017, 7.30pm Froyle Village Hall. Our rivers have been called ‘Nature’s Super Highway’. The talk will cover the North Wey describing the ingredients for a healthy river ecosystem. The wildlife species present on our local river depend on habitats including instream and the flood-plain. Current impacts such as pollution and invasive species can be partly offset by river restoration techniques. Glen Skelton has the experience of being involved with the Wey Landscape Partnership and Surrey Wildlife Trust. Do come along and find out more about our river in Froyle and its wildlife, all welcome. Doors open at 7pm for 7.30pm start, entrance £2, non members £3, children free, refreshments. Glen Skelton, from the Surrey Wildlife Trust, gave an interesting talk about rivers being ‘Nature’s Super Highways’ at the end of April. After rising from a chalk aquafer in Alton, the Northern branch of the River Wey flows through Upper Froyle, and Farnham before joining the South Wey at Tilford, and ultimately joins the River Thames. This chalk stream is an approximately 80km wildlife corridor. There are only around 200 chalk streams in the world and 85% of these are found in England, so we are fortunate to have the River Wey in Froyle. Coming from groundwater aquafers, the water is of high clarity and good chemical quality, making it precious for certain wildlife species, potentially supporting a rich flora and fauna. However, unfortunately man’s activities are having a detrimental effect on rivers including the Wey. Consequently volunteers, including those led by Glen, do restoration work with the aim of improving the biodiversity and health of the river, to enable them to function naturally. A meandering river, as Nature intended, is an ideal situation. Where rivers are artificially straightened this effectively turns them into fast flowing drains with minimal wildlife opportunity. Some areas of the Wey, such as near Kings Pond, have had diverters placed to create meanders, allowing varying river water flow rates. A meander allows fish fry to develop at the slow inner bend, and fish such as Pike to live at the faster outer bend. Well vegetated banks are used by small mammals, butterflies and damselflies for shelter and basking. Channels provide fish, such as the Bullhead or Miller’s Thumb, (a fish of international importance for conservation), with shelter from predators. Bank restoration has been carried out upstream from the watercress beds in Alton, removing trees and shrubs allowing light in, enabling the bankside vegetation to improve. In other areas bankside trees provide valuable perches for Kingfishers looking out for their next meal of fish or aquatic insect. In addition, caterpillars falling from tree leaves into the water provide food for fish. There are many ‘riffle’ areas on the River Wey, where the water flows over the rough surface of a gravel bed. This enables oxygenation of the water, allowing fish eggs to develop and provides good habitat for aquatic invertebrates. This equates to the ‘larder’ of the river. 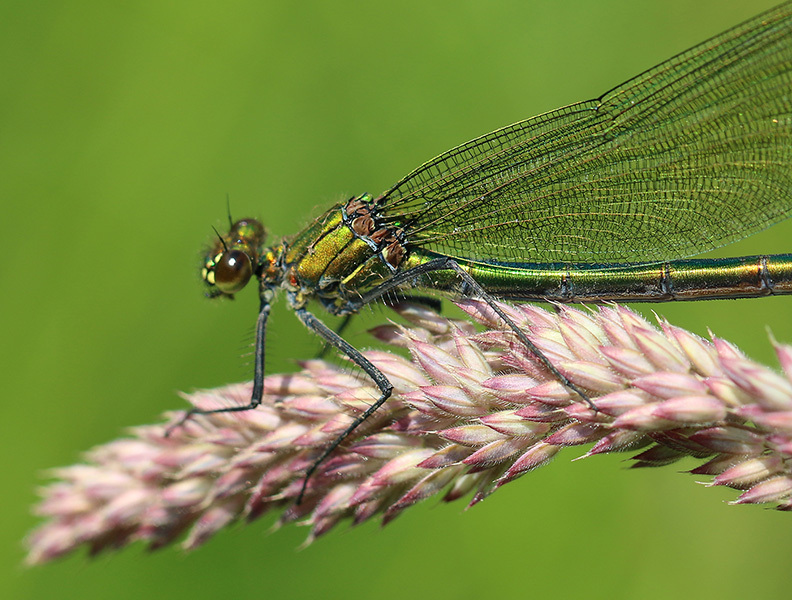 Invertebrates include Freshwater shrimps, Banded damselfly and Dragonflies. Clean gravel beds also allow marginal plants to establish, which are important as cover for small fish, invertebrates and birds such as coots and moorhen. Otters, the apex predators of the river, are tentatively recolonising our rivers, having died out in the 1970s through sheep dip pollution in rivers. However, the last sighting on the River Wey was 2 years ago near Frensham. Unfortunately, water voles are also currently not seen on the Wey, through habitat fragmentation and mink invasion. On a more positive note, harvest mice, that like wetlands, have been found near the Wey source at Alton. There are opportunities for volunteer river conservation work through Glen, involving mapping, monitoring for possible water vole return, and restoration.